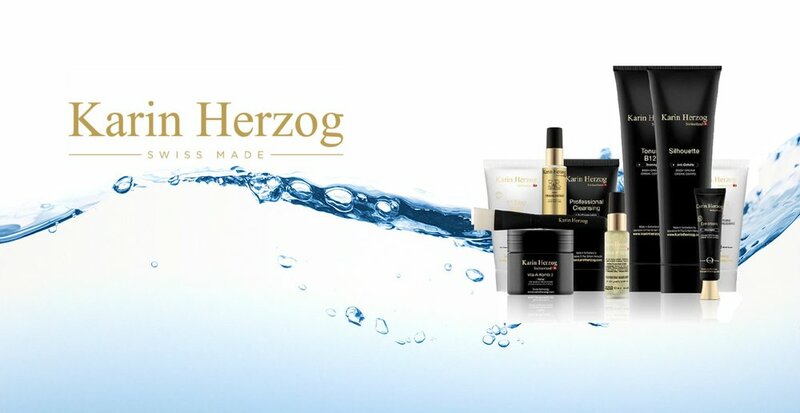 A unique range of skincare products handmade in Switzerland and created by Dr Paul Herzog in 1974. Dr Herzog, a world renowned Swiss professor and scientist has dedicated his whole career to the study of artificial respiration and the benefits of oxygen on the human body. His patented creams, containing active oxygen, work from the inside out. When the oxygen cream contacts the skin it is turned into a gas and is taken down to the dermal layers, providing a deep cleanse, and bringing life back into the skin. He has named this unique range after his wife Karin, a professional beautician and who has had a significant influence and input to this revolutionary skincare range. Using safe glycolic acid, oxygen, retinol and vitamin E together with pure rose oil, this treatment brightens a tired lack-luster skin, diminishes fine lines and has a lifting effect on the skin. A ‘back facial’ with extraction to sterilize, heal and hydrate the skin leaving the back clean and clear.